Door Service Today is proud to offer our comprehensive Phoenix garage door repair and installation services to residential and commercial property owners throughout the city of Phoenix, AZ. As a family owned and operated company, with over 48 years’ experience, we consistently strive to deliver only the best quality products and services. 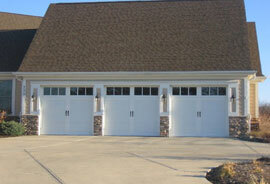 No matter how big or small your garage door needs may be, choose Door Service Today! One of the most important aspects to any Phoenix Area home’s curb appeal can be seen in its garage doors. Just think about it! While driving through your neighborhood what is the first thing you notice? That’s because most garage doors are the largest entities to any home and therefore are the first thing that many passing by are going to notice. Now don’t you want your garage door to provide your home with beautiful curb appeal? If you are considering replacing your Phoenix Area outdated or neglected garage door, you will be pleasantly surprised to learn that it is amongst one of the least expensive ways to add instant curb appeal. Best of all, by replacing your garage door with an upscale door you can recoup 69% of your invested cost, and with a mid-range door you can recoup 75%! For more information click here to be directed to Remodeling Magazine’s Cost vs. Value report. At Door Service Today, we want to help you select a stunning replacement, while remaining within your budget. That’s why we offer competitive prices on all of our products and services and carry such brands names as Amarr, Jeld-Wen, Clopay and so many more. With a wide array of designs and materials to choose amongst including steel, fiberglass, contemporary, cottage and wood—just to name a few. 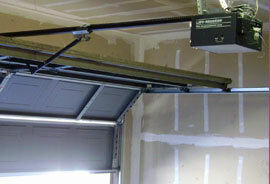 Once you’ve decided on the look and material of your new garage door, the next step is to determine its functionality. For your consideration are the following garage door options; insulation, extra safety features, window inserts, decorative hardware and automatic garage door openers. 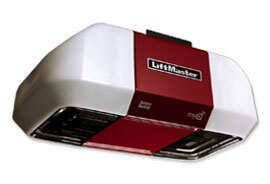 Check out our garage door page for more information on our selection of products. Then give us a call to talk details. For all of your residential and commercial door needs in Phoenix, AZ, Door Service Today is here to help, with same day and 24 hour emergency service appointments readily available. Be sure to check out our online specials for great savings! Give us a call today at (602) 335-1077. We look forward to the opportunity of providing you with expert garage door services or supplying your home with instant curb appeal. 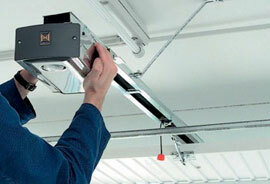 The bottom line is Door Service Today provides quality garage door repair in Phoenix. If your looking for professional service that is affordable, then choose us.